Corporate organizations and tech parks comprise a major portion of our clientele. SZW provides a complete end-to-end essential office waste management system for all kinds of waste. We are driven by systems and processes with a laser focus on accurate data collection and reporting. SZW takes pride in having high compliance with labour laws, operational health and safety requirements compliance with various statutory requirements. To ensure effective office waste management, we work with various departments of our client's teams to help their organizations achieve their sustainability goals. Awareness programs and employee engagement lie in the heart of our efforts. 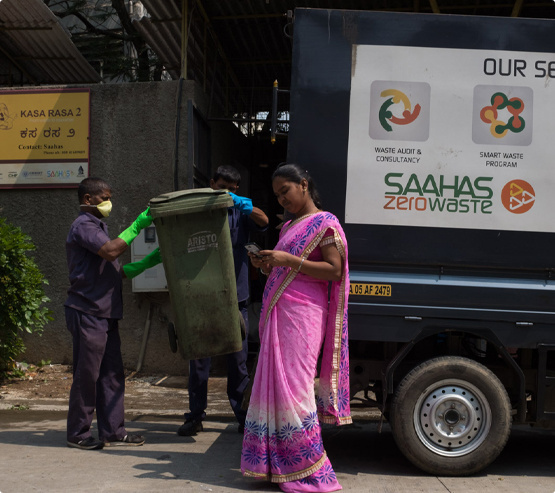 Saahas Zero Waste is a pioneer in providing professional decentralized Waste Management services in India. 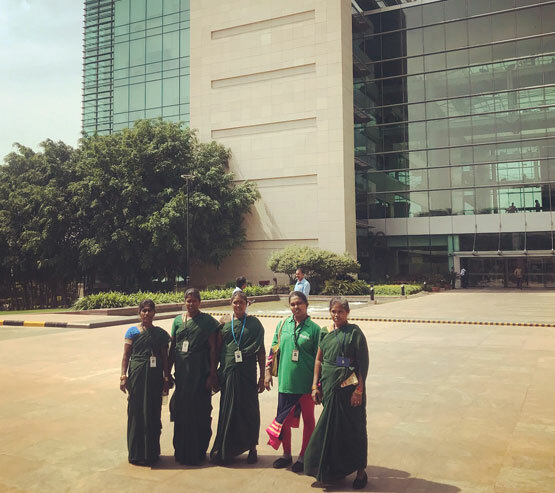 Over the past decade, Saahas Zero Waste has developed a good understanding of the dynamics of how residential outfits can be steered towards establishing good residential waste management solutions. This involves close coordination with all stakeholders including Resident Welfare Associations, property managers, resident volunteers, housekeeping teams, and maintenance staff. SZW offers holistic waste management services to schools and colleges to ensure the effective diversion of waste generated at these institutions from landfills. Through periodic interactive sessions with students, our team also educates young minds about the best practices of zero waste management - segregation at source, composting and recycling, for instance. This goes a long way in imbibing the values of sustainability and awakening environmental consciousness into the future leaders of our nation. Awareness about the importance of sustainable waste management and its best practices are the key to ensuring its effective adoption. 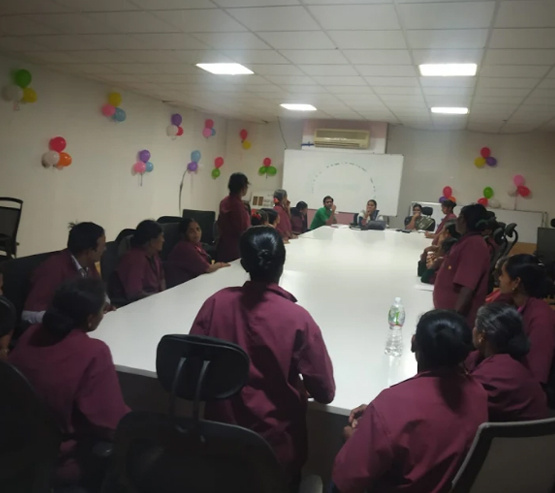 Our training and awareness sessions incorporate the basics of waste segregation, waste types, and how one could minimize their carbon footprint. We customize our training, awareness and engagement sessions for all sorts of audiences, ranging from school students to senior management in large corporate agencies. Our sessions are generally delivered as a part of our SOP, prior to commencing operations at our client premises, to the housekeeping staff and waste generators. However, we also take up specially designed engagement sessions and activities on an ad hoc basis as well. The rapid increase in population and urbanisation has led to a boom in the Construction industry over the past decade. 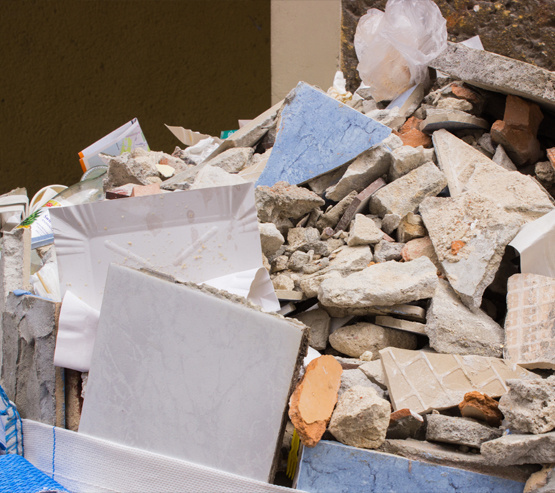 According to studies by the Centre of Science and Environment (CSE), India was estimated to be generating 50 million Tons of Construction and Demolition Waste in 2013. By 2020, it is assumed that the number will go up to 287 Million Tons per annum. Saahas Zero Waste has taken a proactive step towards adopting the Construction and Demolition Waste Management Rules, 2016 as part of the holistic waste management services offered. Partnering with authorised vendors and certified recyclers for handling different streams of waste generated at a construction project, SZW keeps in-line with its zero waste philosophy by extending its services to clients looking for solutions for a sustainable construction project while complying with all the regulations. 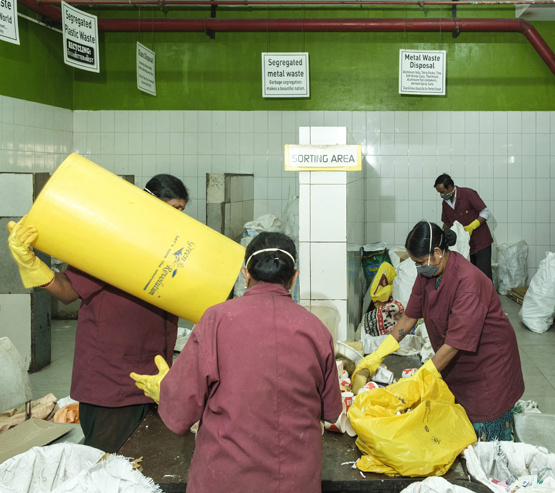 Saahas Zero Waste operates one of the biggest Material Recovery Facilities (MRF) in Karnataka. 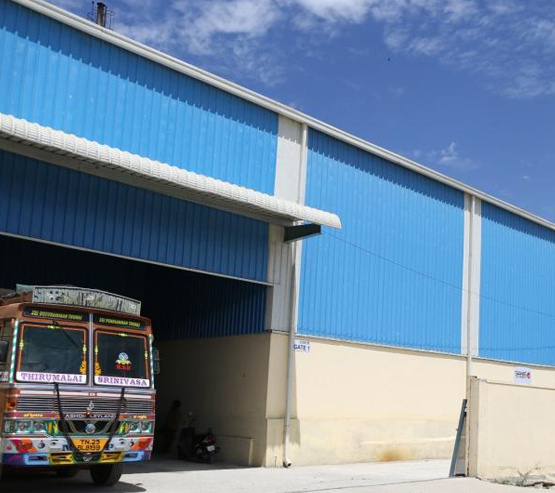 MRF represents the future of dry waste management in India. It is a mechanised processing factory for dry waste that focuses on complete resource recovery. The objective is to move us closer to a circular economy and achieve the global goals around sustainable development. Each category is first segregated into 20 categories, compacted for easy storage and dispatched to authorised end destinations. The waste that is sent to recyclers are transformed into products such as stationery, chip boards, and t-shirts. 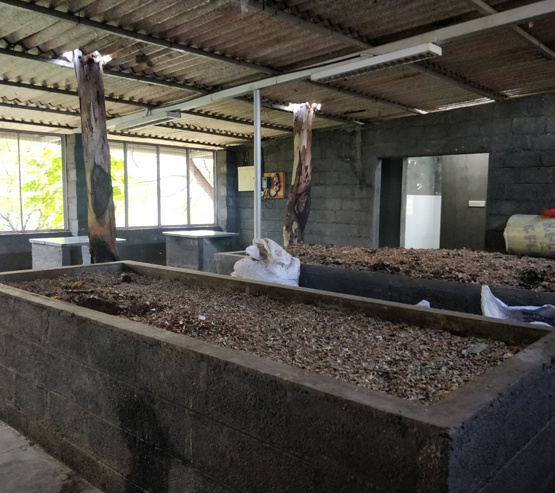 In our decentralised model for wet waste management, processing units are set up onsite to convert the wet waste from the premises to compost. Alternatively, wet waste is also sent for bio-methanation to centralised biogas plants operated by our partners. In this scenario, the collection vehicles are also run on biogas. Similar to dry waste, the trail of waste managed by us are completely traceable to ensure it reaches the authorised end destinations.